It is a data or value used by testers to perform testing on the application. In most of the testing projects, test data is provided by the client. If it is not provided by the client then tester needs to prepare the test data for testing. Some projects might have a test data management team for test data preparation and updating. Test data can be either positive or negative. Testing performed on the application or software using positive set of test data.In this testing approach, positive or valid values entered for input values and validations are performed. e.g. Suppose you are testing an online registration form, which has a field Contact number. There is a business requirement ‘Contact number field should accept 10 digit values staring with 9.’ For Positive testing user needs to enter the value for Contact number in the format of 9**********. Testing performed on the application or software using negative set of test data.In this testing approach, negative or invalid values entered for input values and validations are performed. e.g. To test business requirement ‘Contact number field should accept 10 digit values staring with 9’ for Negative testing user needs to enter the 10 digit value for Contact number starting with value other than 9 such as 1 or 2 or 3 or 4 or 5 or 6 or 7 or 8 or user should enter 11 digit value starting with 9. Requirement Traceability Matrix (RTM) is a document that traces and maps user requirements with test cases or test scripts and check if all the requirements are addressed, implemented and tested. Requirement ids from requirement specification document are mapped to the test case ids. In traceability, the relationship of requirements to test cases can be one-to-one, one-to-many or many-to-one. 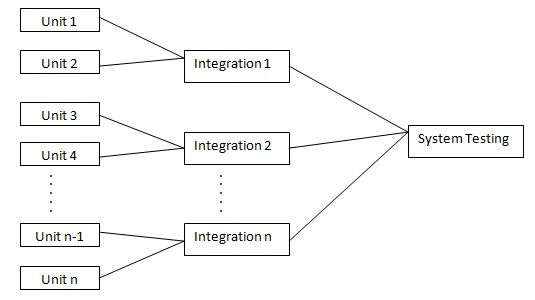 Traceability requires unique identifiers for requirements and test cases. Requirement Traceability Matrix document is prepared to ensure clients that the coverage done is complete as end to end. It consists of Requirement/ Base line document, Reference number, Test case or Conditions, and Defect/Bud id. Using Requirement Traceability Matrix document the one can track the Requirement based on the Defect id. The completed system may have “Extra” functionalities that may have not been specified in the design document, resulting in wastage of manpower, time and effort. Bi-Directional Traceability- A good traceability matrix is the reference from test cases to basis documentation and vice versa. It focuses on What software does? It focuses on How software works or performs? The objective of testing is what the module or software is intended to do? The objective of testing is How module or software works? User Acceptance Testing (UAT) is the testing of application from end users perspective. UAT can be done by customer or can done by testing team on behalf of the customer. User Acceptance Testing is a final level of testing in which once can perform testing on the application within the presence of customer. User Acceptance Testing is a black box testing technique. It plays a crucial role in project or software delivery to client. After successful completion of User Acceptance Testing, software or application is deployed to customer. System or System Integration testing of modules should be completed successfully and all the defects encountered should be closed. After successful completion of user acceptance testing the technical team will deploy the same piece of code into the production environment. It is conducted at developer’s site by end-users and is conducted in a controlled environment. It is the final testing within the development company before it is delivered to the customer. If any defects are found during this testing, the same can be rectified immediately as the application is not yet delivered to customer. It is conducted at customers sites in customers environment. Developers are not generally present whereas in Alpha testing developer’s presence is there.The application is tested for the first time within the customer’s environment when it is delivered and deployed. Beta testing is done by customer or third party testers know as Beta testers. Beta test is a live application of the software in an environment that cannot be controlled by developer. The end-user keeps record of all problems that are encountered during this phase of testing and reports these to the developers at regular intervals. The developers make modifications on these problems and then prepare for release to the entire customer base. The disadvantage of beta testing is that if there are any defects immediately rectification is not possible. System Testing is a crucial level of testing in which once the entire application is developed it is deployed into the system test environment. It is considered as full pledge testing which includes or covers both functional testing and non-functional testing such as GUI testing, load testing, stress testing, performance testing, security testing etc. System testing is a black box testing technique and is always done by testing engineers or QA’s. During System Testing phase testing team will be involved to perform testing on the application by executing the test cases considering the entire application as single unit. An integration testing of modules should be completed successfully and all the defects encountered should be closed. All planned test cases should be executed and all encountered defects should be closed.After successful completion of System testing the technical team will deploy the same piece of code into UAT environment. Testing of online banks internet banking portal which includes various modules like login, balance inquiry, statement inquiry etc and integration modules like call to third party transfer screen, payment gateway etc as single unit. Defect Leakage metric is the ratio of Number of defects attributed to a stage but only captured in subsequent stages to the sum of Total number of defects captured in that stage and Total Number of defects attributed to a stage but only captured in subsequent stages. It is used to determine the % of defect leaked to subsequent stages. Lower the value to Defect Leakage better is the quality of testing. Defect Leakage is calculated at overall project or stage level or both. It is measured in percentage (%). 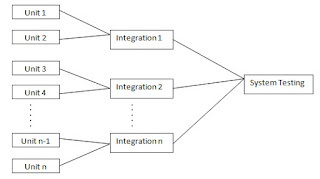 Note: In above example the current stage is considered as SIT (System Integration Testing) and subsequent stage is considered as UAT (User Acceptance Testing). The user needs to understand the current and subsequent stage and accordingly need to modify the formula. How to calculate Defect Density ? Defect Density metric is the ratio of Total number of defects found in the application to the Total number of test cases executed for the release. It is calculated at the test execution phase. Application Defect Density metric is used to check the stability of the application.